A great friend of mine introduced me to this style of album making. It has pockets, tags and lots of places to hide your hidden treasure. When the album is complete it will have 5 fold out pages with lots of goodies and tags. You can use it for photos or for just a fun book of found objects or a combination of both. Love using the thickers and stamps. Added an aging element with Clearsnap inks! More stuff with using Smooch inks and cut outs! Another cut out but using multi-color leaf for the key hole and bling of course! One of my favorite things to do is add color around the edges with a stipple brush and love the Chestnut Roan Chalk ink. 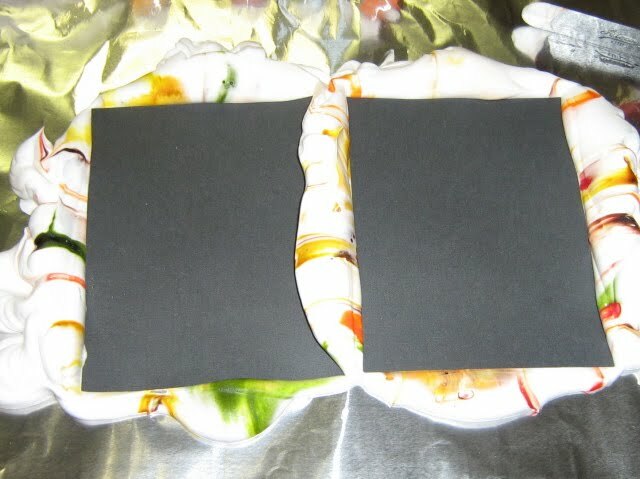 This is a great project to make and you need 6 x 9 envelopes, A10 envelopes, Score-It and great tape! This is one page of the album for the Score-It blog coming soon and using great products by Clearsnap! Don't forget to check out my blog and become a follower as well! Also check out information on the Crop! 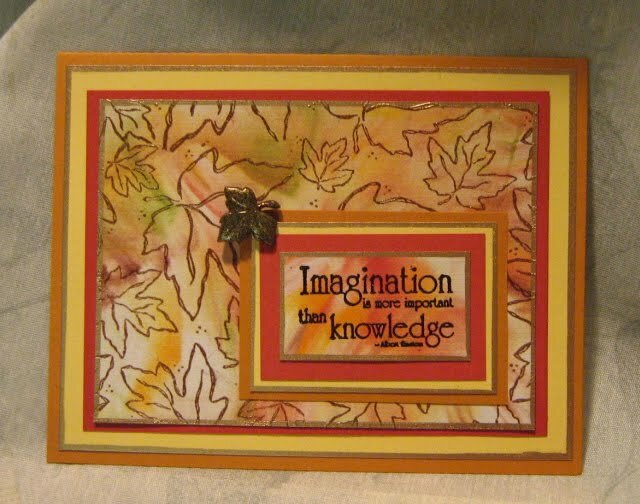 Just found out Stacey of Spellbinders will be here Saturday Night of the crop at 5 pm for demos and give aways! Don't miss the boat on this one! Hello everyone! I have been going crazy trying to get all the details hammered out for the crop but did make some fun backgrounds for some upcoming submissions! 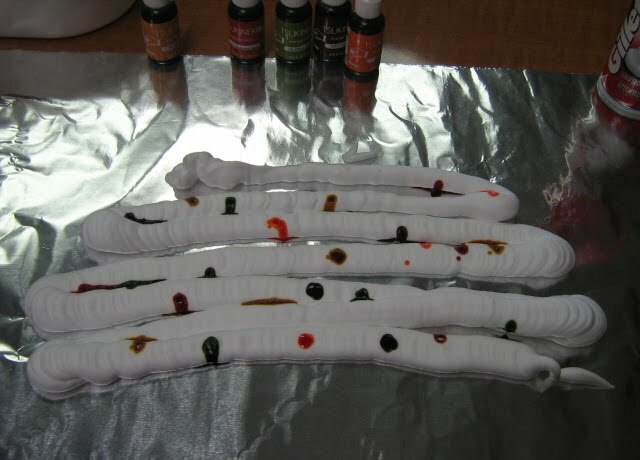 This is using shaving cream, re-inkers and little else! I put a small amount of shaving cream on a clean surface. Next I add a few drops of ink randomly over the shaving cream. I then take my palette knife and "slice" through the ink in a couple of different directions. 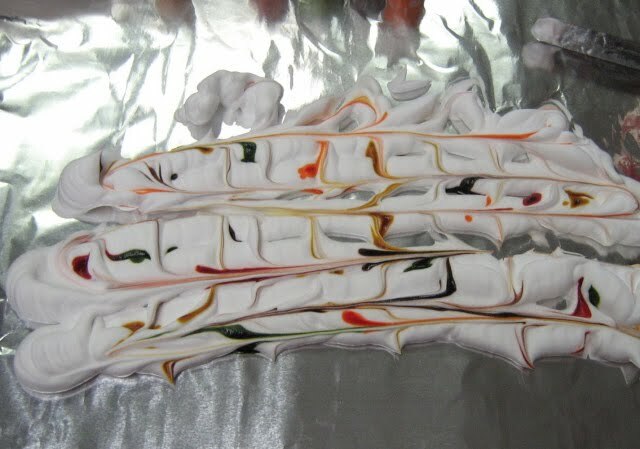 I take the paper/card stock and place it face down on the shaving cream mixture and press until the card stock is flat on the work surface. 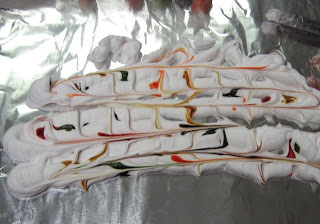 I lift the paper off and scrape off the excess foam with the palette knife and let dry. You can use the same mixture over and over until it becomes too muddy. I often like the 2nd or 3rd dipping best. 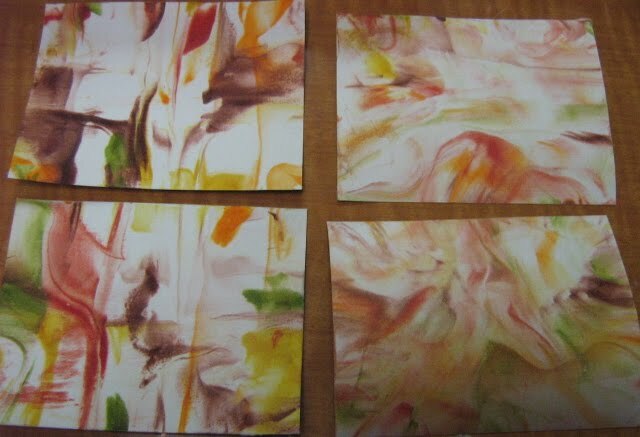 I stamp my images on the background, layer images, layer the paper etc and put my card together! The stamps used here are from Prickley Pear. I used a little leaf button to finish the project. If you have seen this before I hope I brought it back to the fore front of your mind and make some great backgrounds. If not, go make a mess and have a blast! Don't forget to become a fan of my blog and check out the details of the upcoming crop in Springfield, MO! 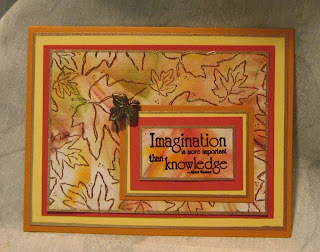 This card was created out of inspiration for our Vacation Bible School theme and sending some items to Dreamweaver Stencils. Not to mention the use of the Score-It-All! I used the Score-It for the base card and then again for deciding the width of the paper strips. I put a little score mark on the paper and then did not have to think when I went to my trimmer! I got my base card prepped and folded using the Score-It and then cut my paper strips. I got all the strips attached to the card front and let the project sit for about an hour to give the paste time to dry completely. When I came back I was able to trim the stenciled piece to the size desired. I then layered that piece on a cream piece of card stock and attached to the card front with pop dots. As I looked at my card I thought it was nice but seemed to be missing something. I went to my stamp drawer and found a great stamp from The Peddler's Pack. I stamped the hat and trimmed it out. Still missing something...I stippled on a little color. Better, but not there yet. Then it hit me...I needed the leather band on the hat! Well the cool leather is braided so I then had the challenge how to make the "leather" and finally came up with this. 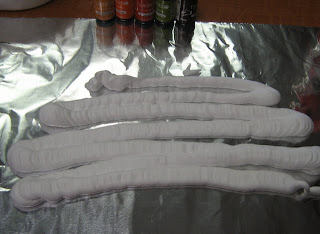 I took three strands of white string and braided them. 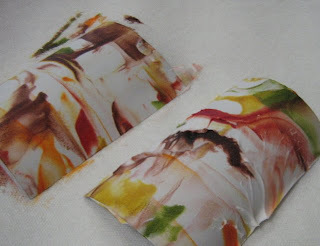 Next I ran the string through brown and black ink to get the desired color. 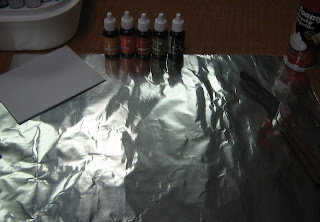 Finally, I dipped the string in clear embossing powder and heated. I now had my "leather" braid for my hat. I cut it to the size I wanted and was pleased to discover the embossing powder had fused all the strings so no ravel issues! I raised the hat high on two sets of pop dots and attached to the card! I was happy with the result and thrilled to have a new idea pop in my brain! Make sure and explore your studio for fun things you can do to make something new! Cutting above features all things craft, fashion, trends related. Learn more. Love this blog! Subscribe now for Email and receive updates in a Reader below! I am a Freelance designer for the following Companies on the right side of my blog. We are a sponsored blog I chose what company I want to feature on my blog, I maintain the freedom to showcase only companies whose products I like. I am compensated in products. Product donation for prizes are given freely for giveaways.